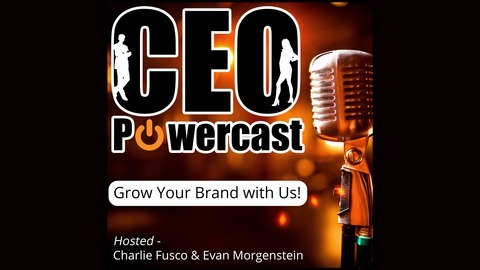 Charlie Fusco and Evan Morgenstein go head to head on C-Level strategies and techniques with some of the world's most successful self-made CEOs. You’ve got business questions; we’ve got answers! Does author credibility help improve CEO credibility? How are podcasts helping to grow businesses? Increasing prices - the key to profit? Infomercial marketing in a modern Netflix age? Our guest is the bestselling author of Ask More, Get More and 5% More and entrepreneur Michael Alden (Founder – Blue Vase Marketing). Hear how Michael survived a dismal childhood surrounded by drugs, arrests, and death, and instead chose to ask more of himself. Putting himself through college and law school by working in a call center, Michael went on to found the direct marketing agency Blue Vase Marketing. 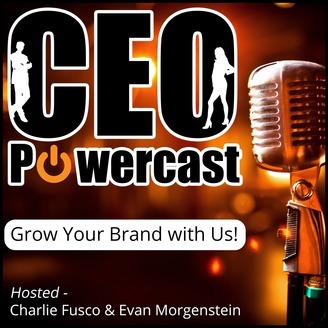 Now he’s on CEO Powercast – to tell you how you can ask more, get more, and do more for your business. 009: Is Selling on Amazon Putting You Out of Business?